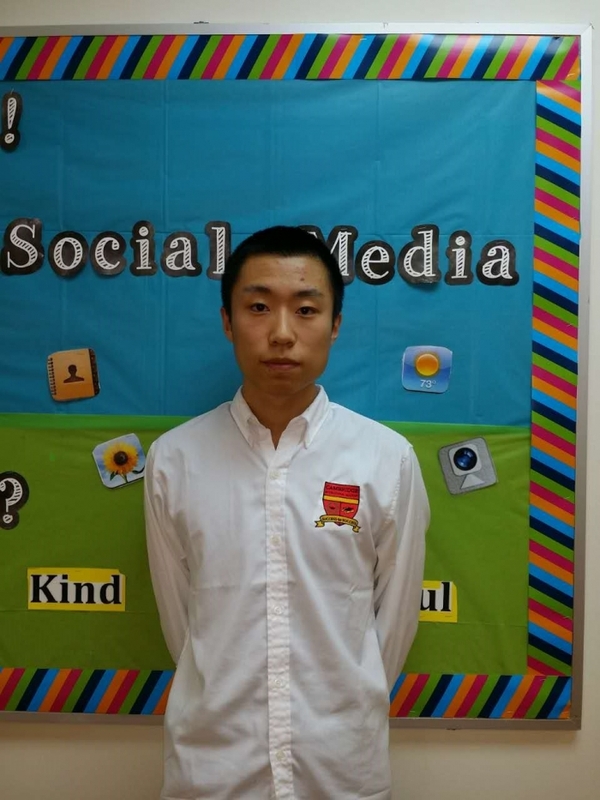 Evan Sun has been nominated as the student that exemplifies this month’s character trait: Respect. When asked the question, “what does respect mean to you?” Evan responded with three points: 1) Respect is to treat someone else in a good and fair way; 2) Respect is a feeling of admiring someone for what they do; and, 3) Respect is especially important between the youth and elderly. It’s one thing for a student to know what respect is, but it is more important for a student to live these truths out. Evan’s attitude of respect is clearly evident in his student life. Teachers have noted that he is diligent and hardworking; making great strides in his English education over a short period of time. He never misses class and is reliably in his seat when class begins. When interacting with his friends he is soft spoken and offers a gentle presence which strongly contrasts his peers. All students deserve respect; whether this is reciprocated to the teacher is not always the case. However, Evan is a student that reciprocates and his conduct leaves him respectable. For these reasons, we believe that Evan ought to be recognized.